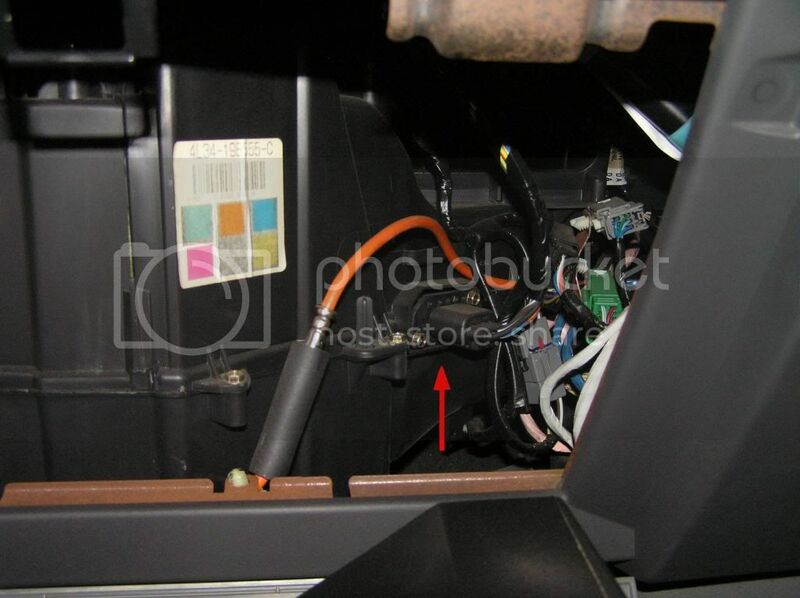 HowToRepairGuide.com: Blower motor location for 2004 ford f-150? 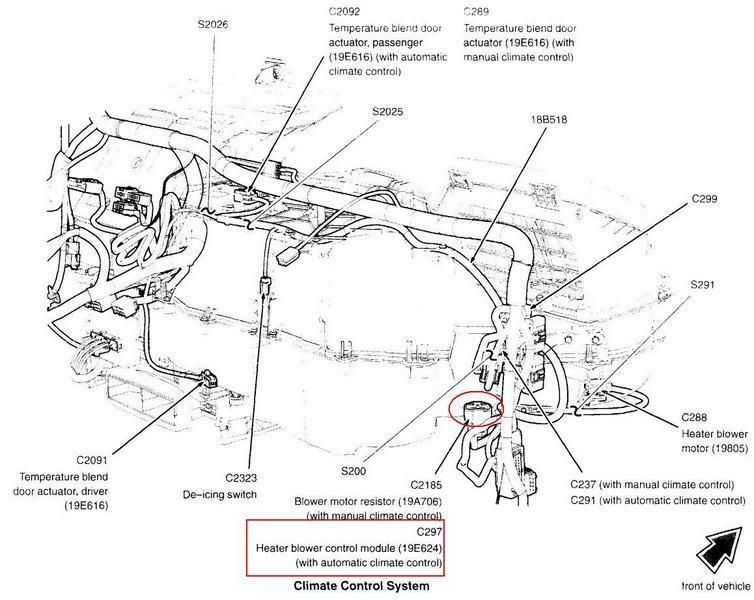 Blower motor location for 2004 ford f-150? 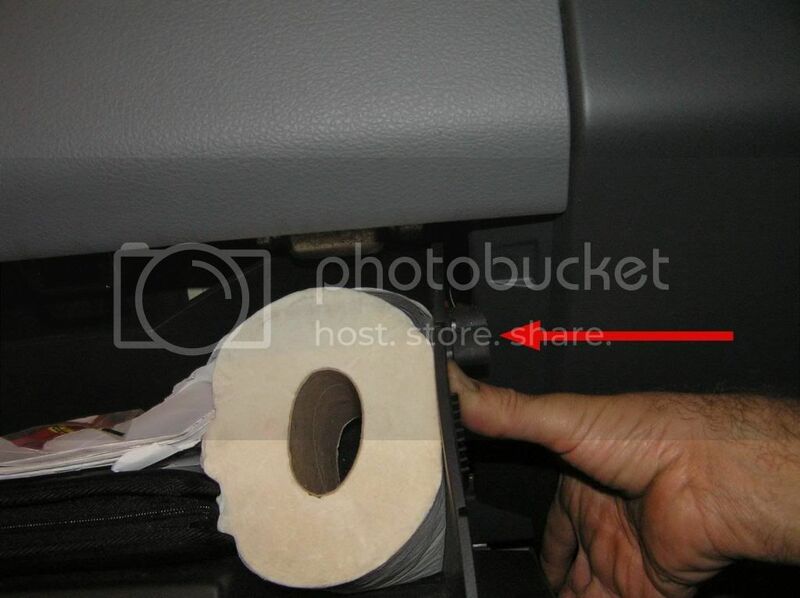 This is behind the glove box, you need to open the glove box, and press in on one side to drop the glove box door down. Check the blower resistor located near the blower motor on right side of dash. 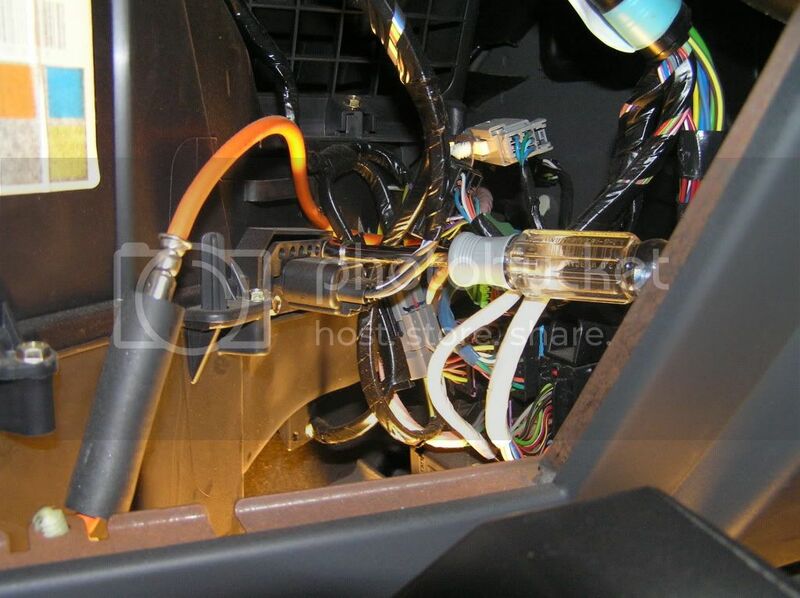 You can find it on the passenger side, looking up behind the dash / Glove box area. 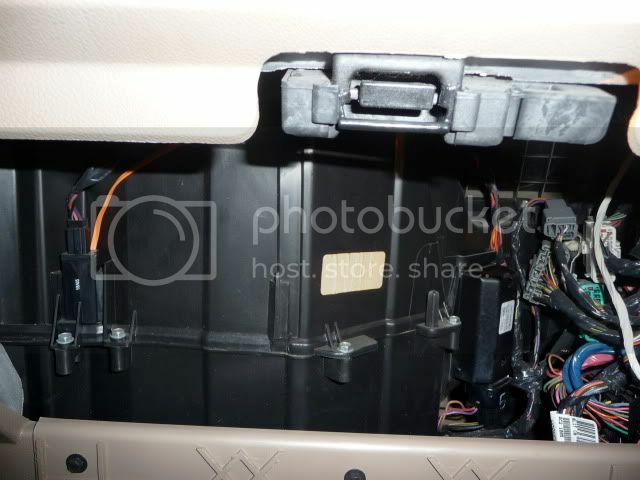 In this picture the passenger side kick panel ( where the inertia fuel switch is at ) is on the right hand side of the picture. 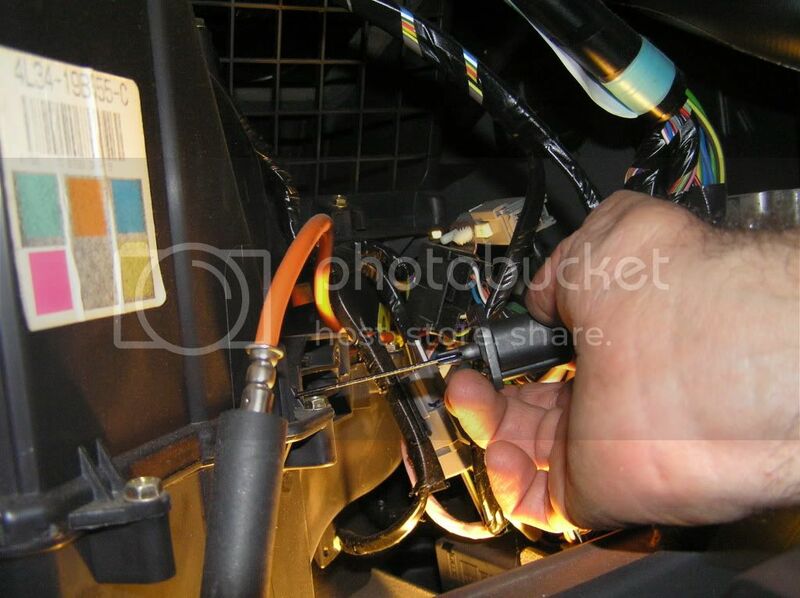 1) Open the glove box beyond it's stop by pressing the right side in, till the rubber stopper clears the side. 2) This is the part to replace. 3) The screws are 8mm. 4) Slide the part out....it's credit card size. 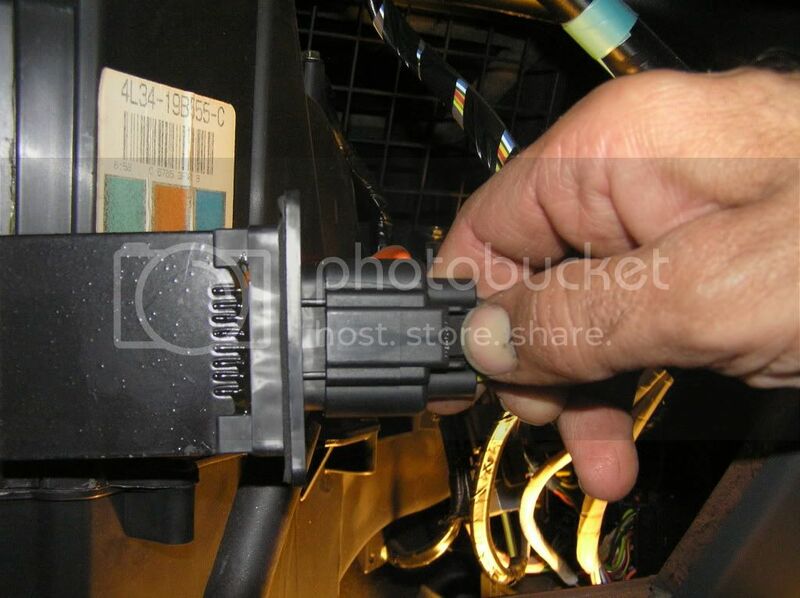 5) Press the center tab to remove the connector from the part. Labels: Blower motor location for 2004 ford f-150.